I'm very happy with my new Penning model, I have been looking for a Bass for a long time and Martin's Bass suits all my requirements. The sound is very focused, clear and deep and worked fantastic in every single hall I tried it, besides it is the perfect size for me, looks as if it had been made for me! Martin is one of the best makers nowadays so if you are looking for a modern instrument you must consider him! 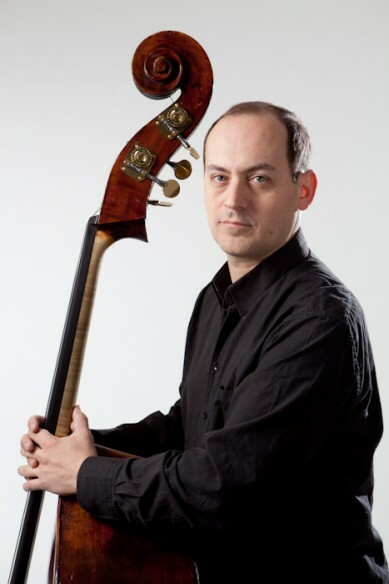 Enrique Galassi is freelance orchestral and tango player based in London. It was an honor and a pleasure to commission Martin’s first 5-String Panormo model, which also happened to be his first bass sold in Germany. The bass has a warm, dark, and penetrating sound. Despite having the semblance of a massive 5-String, this bass is comfortably cut, clean, and very playable. Martin has an aptitude for scrupulously selecting high-quality materials. His extensive collection of well-seasoned wood certainly sets him apart in terms of consistency (I’ve played on at least 6 different Penning instruments). Working with Martin is relaxed but enthusiastic. He is totally focussed on building the right instrument for the buyer. 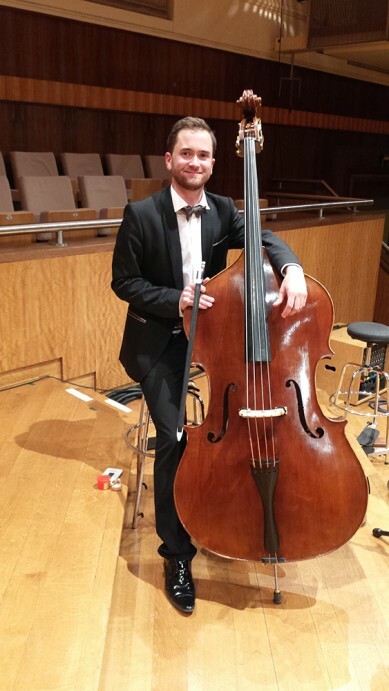 This bass has been an invaluable asset for the Philharmonie Südwestfalen and I am absolutely delighted to endorse his basses! In my life as a musician what I really care about is quality of sound. My friend David Heyes recommended Martin when we were talking about the instruments at Bass Prague 2016. I decided to commission an instrument from Martin too because we like the same thing regarding sound quality. During the entire construction process we discussed everything in detail. I am very grateful and I felt every day that I made the best choice with him. The first time that I tried the bass I felt a sense of relaxation and pleasure. I had the idea that I can play everything with this instrument and after only five months I tried to play various musical styles modern romantic classic with the same result. Excellent. This Penning bass will share in every success of my career and I will always be grateful for this. 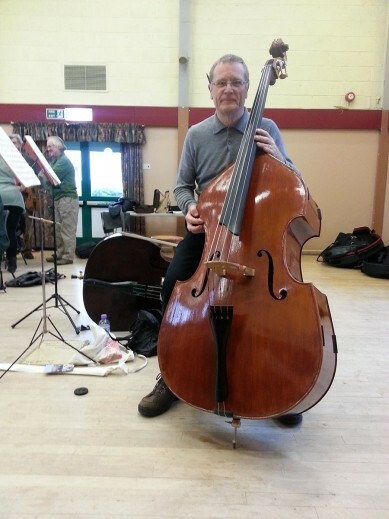 "It was an absolute pleasure and delight to commission a new bass from Martin Penning. Living locally, it allowed me to be part of the decision making process from beginning to end, including selecting the best wood for the back, belly and neck block, with Martin guiding me through every aspect of the build. His vast knowledge and expertise resulted in a solo bass which was not only what I had asked for but which far exceeded my expectations. The workmanship is superb and it looks beautiful, which is the word used by everyone who has seen it, and already the bass is beginning reveal its many secrets of colour, quality and depth of its solo sound. I collected my bass two days before I played it in public for the first time, we celebrated the completion of the commission with a glass or two of Bucks Fizz, and I really love everything about the instrument and especially its developing sound. This is my first bass commission from Martin Penning, it won't be the last, and we have already spoken about a different solo model... Watch this space!" Martin's attention to detail, quality craftsmanship, and dedication to the instrument's playability, make him my preferred luthier. 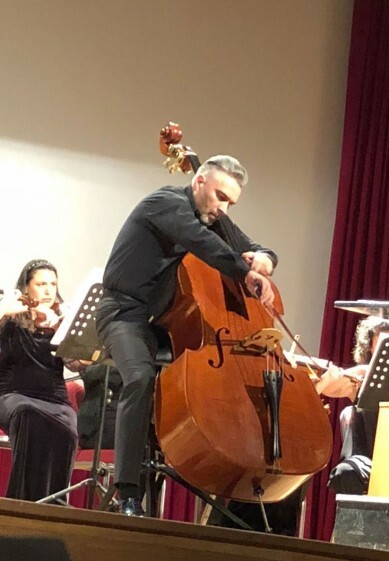 As Principal Bass of Welsh National Opera, and frequent guest principal with Royal Philharmonic Orchestra and BBC Scottish SO, my instrument requires a great deal of volume and clarity, as well as ease of playability across the full range of the instrument. Martin recently fitted a new extension, neck and fingerboard, in addition to addressing a significant crack in the top. My bass has been rejuvenated as a result, and is sounding and playing better than ever. I couldn't recommend Martin more! I got my Martin Penning double bass Panormo model in January 2017. My musical activity ranges between playing in the orchestra, tango ensembles and chamber music. This instrument manages to fit with ease for all my musical needs. If you are looking for a new instrument, you should definitely consider a Martin Penning bass as one of the best options in the market. An important aspect is that he works completely alone from the beginning to the end. The customer service is amazing! 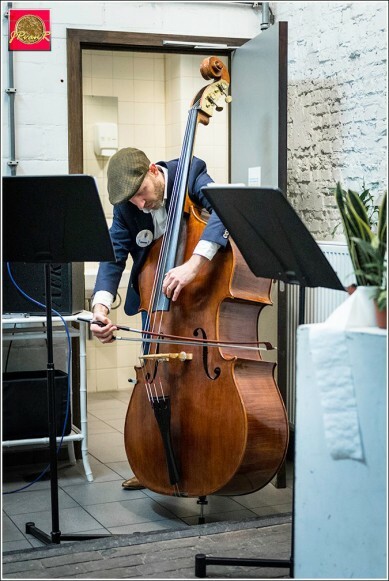 He delivered the bass himself to me in Brussels and allowed me to try many strings on my new bass. I had the opportunity to try both his Panormo and Kennedy basses, each with great sound quality, balanced in all the range of the instrument. Ergonomically well thought out, good taste in all the aesthetic details and the best accessories chosen. The playability and comfort of the model is fantastic, no back pain. 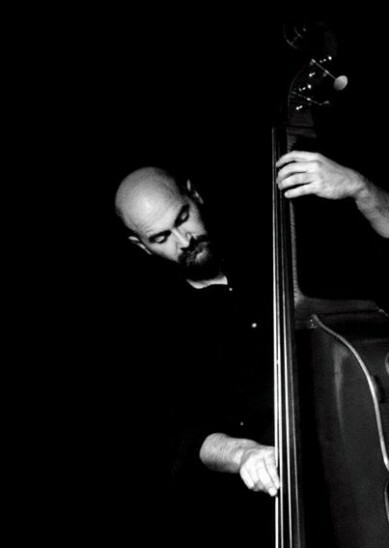 As an international concert bassist I am pleased to start collaborating with Martin. I have not asked him to make me a bass (yet!) but he has already done some serious repairs to the instruments I own and I can do nothing but praise him for his impeccable workmanship, professionalism, knowledge, honesty and punctuality to a deadline. I think it is a privilege to have a maker of this level in the South West of England and I`d recommend him to any colleague who`s bass needs to be mended , adjusted or professionally set-up. 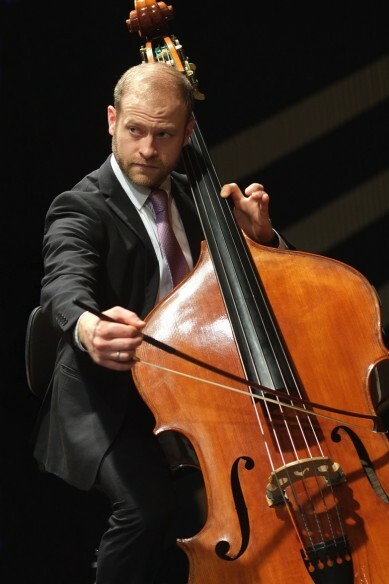 Bassist player from Brussels philharmonic. I’m playing a Martin Penning bass since June 2015. I’m really happy with this instrument. Very nice sound and powerful. In the lower position the sound is dark and fantastic for playing in orchestra. I like to play solo repertory and chamber music it’s a polyvalent instrument. 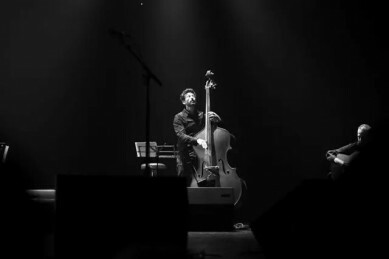 I enjoy playing a lot with this Double bass. I wanted a Gamba shape bass and homed in on the Karr- Koussevitsky model. It was an absolute delight visiting Martin to discuss options and see what progress he was making. The access to the upper register is perfect and the instrument fits me like a glove. It is a truly beautiful bass with a fantastic sound throughout it`s range. I can report that the bass met my requirements completely. I can absolutely recommend Martin for his knowledge of the instrument, his craftsmanship and sensitivity in a collaborative venture. The depth and evenness of tone, beautiful playability and stunning looks, along with Martin’s great attention to detail make for excellent instruments. 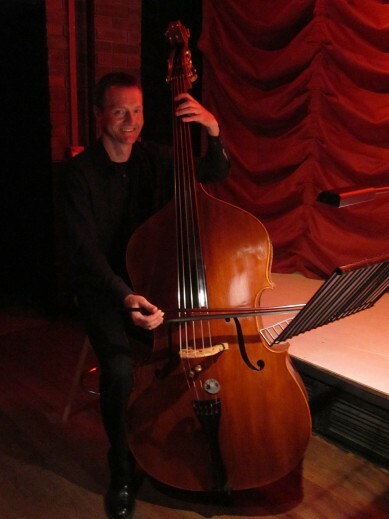 My Panormo model bass is a versatile and well admired instrument and working with Martin is always an absolute pleasure. I give Martin’s work the highest recommendation. Martin`s basses sound and look beautiful, they are expertly crafted from top quality materials and I`m sure will be highly prized by future generations. Buy one now while they are still reasonably priced! My Martin Penning bass is everything I need from my instrument. I went through hundreds of basses in search for one that will give me the right sound for both my solo and ensemble playing. 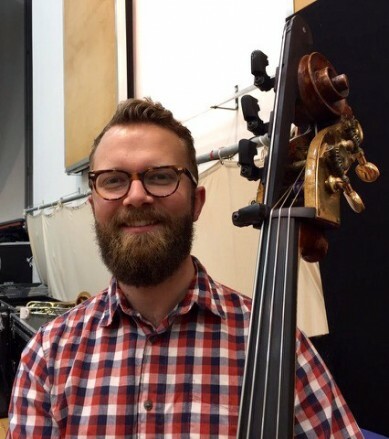 I need a bass that has a great arco tone and playability, and that will have the depth and clarity in pizzicato playing, and this one gives that it in any situation every time. Add to that the peace of mind in having an instrument that is masterfully built and super strong and healthy, and the ease of work with Martin, who was so informative and so open to my ideas all through the process. Having a Martin Penning bass, knowing it will always give me what I need is absolutely priceless. 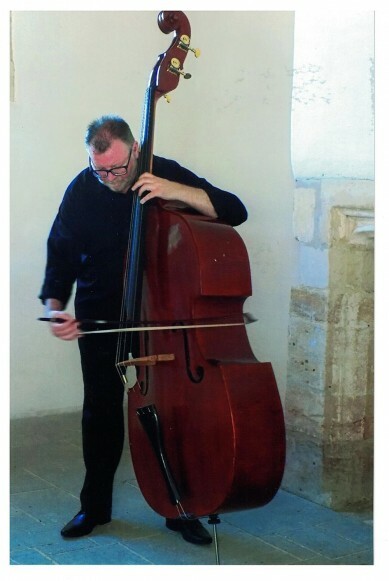 Comments are pouring in from colleagues, bassists and cellists about the sound of my new 5 string bass made by Martin Penning and Nick Lloyd. It has a warm , rich very clear sound and is so easy to play, both the articulation and physiques of it. It has a good tone in the high and a very good tone in the middle and in the low it is to say the least impressive. This is the first 5 string that I have ever realy felt like wanting to work with! This bass has not come short in any repertoire. 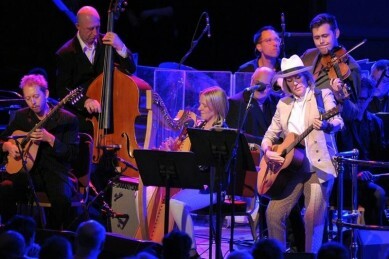 I have had my Martin Penning bass for over a year now and have used it on a wide range of situations ranging from studio sessions, lots of live gigs - Womex to the Royal Albert Hall. Already it has a busy a rigourous life and is holding up superbly. 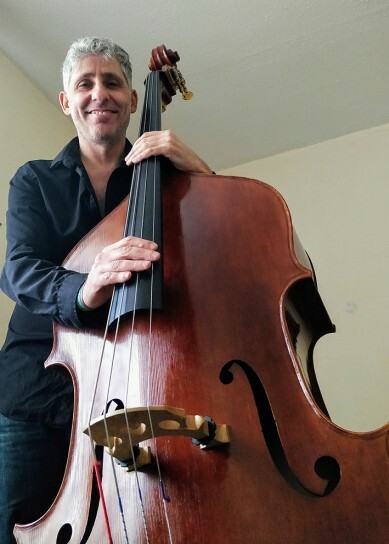 It is an absolute joy of an instrument and after a huge search for a new bass in the last few years I am so glad I came across this. Looking forward to many years together.